When my first baby was born, we noticed he had a very dry, flaky scalp. I was very concerned and asked my own mother what it was. She told me, “Don’t worry, it’s just Cradle Cap”. 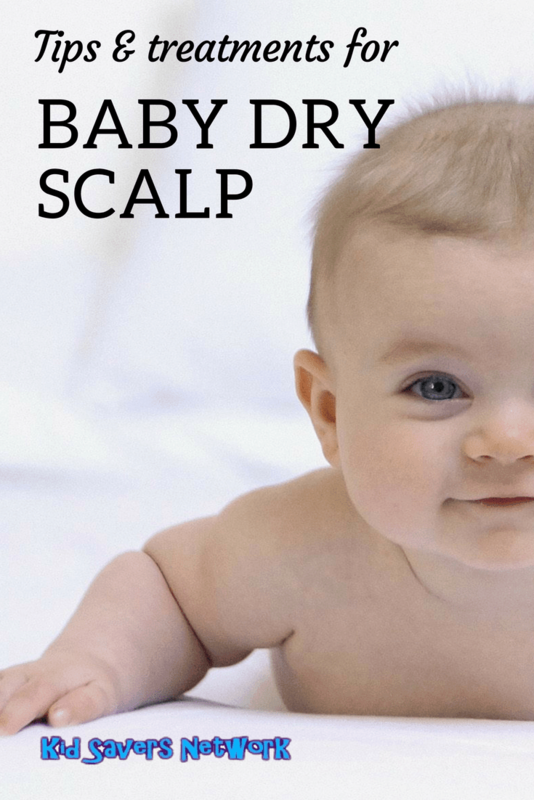 However, it turns out that cradle cap and baby dry scalp are actually two very different things. 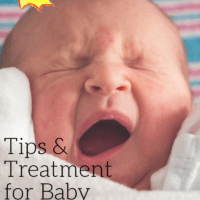 Cradle Cap or Dry Scalp? The medical terms for cradle cap are “ Seborrheic dermatitis”, which you’ll also see shortened to just “Seborrheic”. In older kids and adults, it is called “Dandruff”. 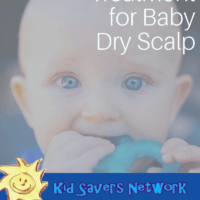 To treat dry scalp in your baby, you’ll need to make sure first it’s dry scalp and not cradle cap. Cradle cap, which is what dandruff is called in babies, is caused by the scalp being oily. But dry scalp (as the name implies) is the result of the skin being dry. Cradle cap will also look quite different. They will be thick white and yellow scales on your baby’s head. Sometimes, an infant will only have a small area of scaly skin but the unfortunate ones have them all over! It can also make an infants ears go read and scaly, too. The good news is, your little one shouldn’t be in any discomfort and the condition usually goes away before their 1st birthday. It’s also not contagious or the result of poor hygiene. Washing your baby’s scalp daily with mild shampoo (or a specialist product like Bella Bee) can loosen and remove the scales that cradle cap causes. About an hour prior to washing, you can use an oil to help loosen and lift the scabs. Oils that some experts recommend are olive oil, vegetable oil and coconut oil. You can also use petroleum jelly, too. After washing, you can use a fine-tooth comb, or soft-bristled baby brush (or even a toothbrush!) and hopefully the scales will drop right off. This is a great video on removing cradle cap, and there are more on youtube. If your baby has a dry scalp, you can use a simple method for relief with a soft baby brush and olive oil. First, put a few drops of olive oil on your fingertips, and then gently massage it into your baby’s scalp. Using gentle pressure, make small circular motions with your fingertips. Let the oil sit on your child’s scalp for about 15 minutes. It will moisturize your baby’s dry scalp and will help lift away the flaky skin. oft baby brush. Use small circular motions as you did with your fingers before. The soft brush bristles and the circular movements will help loosen the excess dry skin so you can easily wash it away. After brushing, use a mild baby shampoo to wash your baby’s hair. Apply the shampoo, and then let it sit for a few minutes while you bathe your baby. That way, the shampoo has enough time to break up the oil so it will easily wash out of your baby’s hair. When done, be sure rinse the shampoo out as thoroughly as possible as shampoo residue can cause more dryness and irritation. You should start to see an improvement soon. To keep things from drying out again, you can apply a thin layer of olive oil between shampoos to keep your baby’s scalp moisturized daily. Prevention is always better than cure. Here are some tips to help prevent dry scalp. If you apply a moisturizer whilst your baby’s hair is still damp, it will help trap the moisture and prevent your little one’s skin from becoming dry and scaly. Using a humidifier in your baby’s nursery can help prevent dry skin – particularly in winter. Humid air (such as from central heating systems) will steal moisture away from their skin, and a humidifier will help balance this out. Sometimes dermatitis in babies is caused by a formula allergy. Changing to a hypoallergenic formula like Nutramigen or Alimentum could help alleviate the symptoms. Most people know that fish oil is one of the so-called “Wonder Foods”. Less know that it can be added to formula milk to help with dry scalp. Omega-3 Fish Oil has a lot of anti-inflammatory properties, and it will be particularly helpful if your baby’s dry scalp is itchy and irritable. Adding 500 mg once-a-day to your child’s formula could really help. Of course, you’d be wise to consult your pediatrician for a recommended brand of fish-oil first.